We guarantee you the most wonderful experience while the moonlight reveals all the mysteries of the magnificent Alhambra. 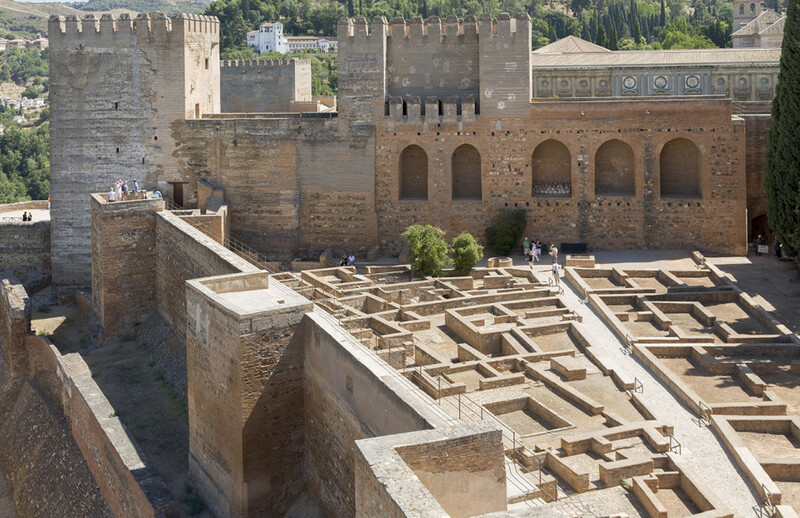 Join our guided tour to the Nasrid Palaces of the Alhambra at night and a new guided visit of the famous Generalife gardens the following morning. Entrance fee combined Alhambra ticket Nasrid Palaces at night and ticket to visit the Gardens during the following day. Guided visit for both days. Big explicative map at the Generalife Pavilion, next to the tickets office. Booking deadline: 4 days before the tour. No crowds, queues or waiting times; the splendid Nasrid city opens its doors at night to a limited number of visitors, to discover the secrets of its patios. You’ll enjoy the Nasrid Palaces with their impressive carvings as well as the peace and harmony of the Court of the Myrtles, where you’ll see the stars reflected in the pool while the night breeze carries scents of other ages. 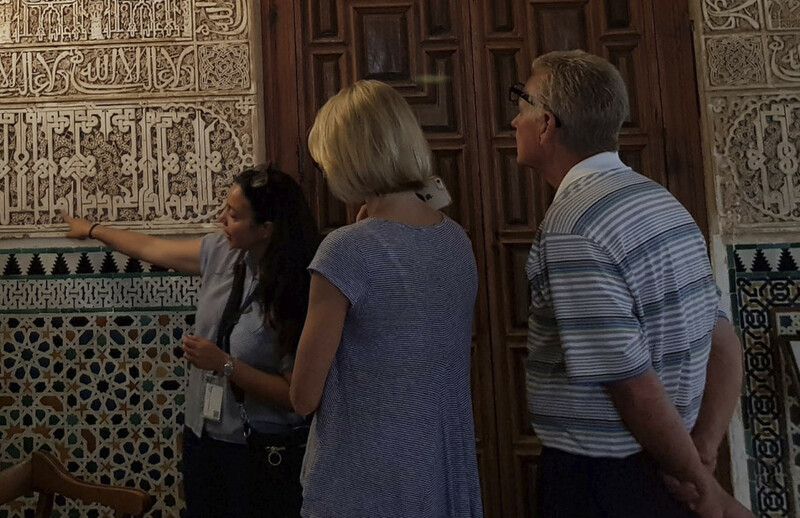 The Alhambra night tour allows you to almost independently explore the chambers that were once walked by the Nasrid kings and queens, long desired by Christians. Day 2. 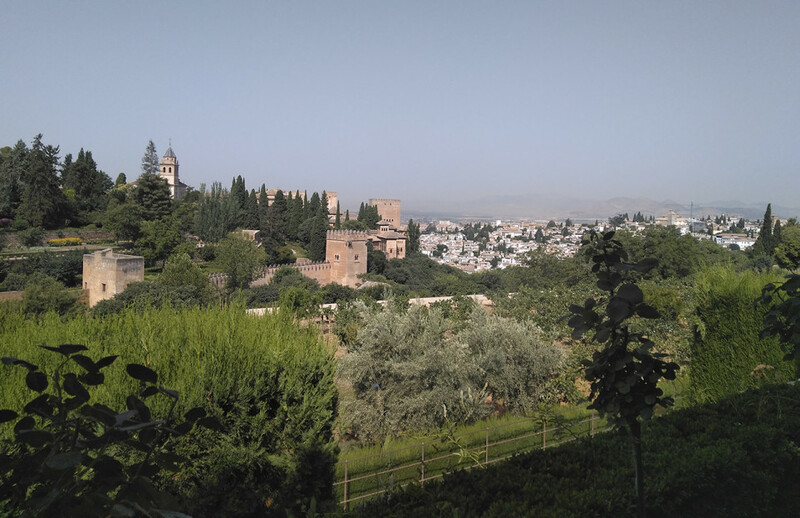 On the second day you’ll complete your experience with a guided tour of the magnificent Gardens of the Alhambra and Generalife. A stroll around the gardens of the Alhambra is a delight for the senses. The perfumed aroma of the breeze caresses the visitor while the birds sing and the fountains murmur, just like a gentle musical accompaniment. The explanations by our professional guides will help you understand the whole meaning of this complex: an explosion of colours and light, where the flowers of these elaborate gardens mingle with the historic buildings of the Nasrid era.